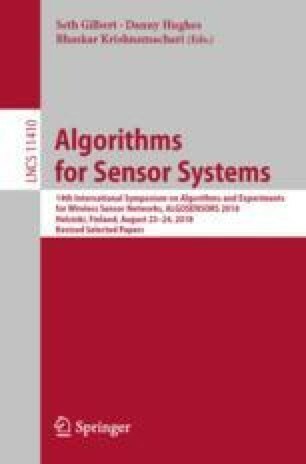 In the past years, the capabilities and thus application scenarios of Wireless Sensor Networks (WSNs) increased: higher computational power and miniaturization of complex sensors, e.g. fine dust, offer a plethora of new directions. However, energy supply still remains a tough challenge because the use of batteries is neither environmentally-friendly nor maintenance-free. Although energy harvesting promises uninterrupted operation, it requires adaption of the consumption—which becomes even more complex with increased capabilities of WSNs. In existing literature, adaption to the available energy is typically rate-based. This ignores that the underlying physical phenomena are typically related in time and thus the corresponding sensor tasks cannot be scheduled independently. We close this gap by defining task graphs, allowing arbitrary task relations while including time constraints. To ensure uninterrupted operation of the sensor node, we include energy constraints obtained from a common energy-prediction algorithm. Using a standard Integer Linear Programming (ILP) solver, we generate a schedule for task execution satisfying both time and energy constraints. We exemplarily show, how varying energy resources influence the schedule of a fine dust sensor. Furthermore, we assess the overhead introduced by schedule computation and investigate how the size of the task graph and the available energy affect this overhead. Finally, we present indications for efficiently implementing our approach on sensor nodes.